Many of us get kind of teary-eyed when thinking about how Mass Effect has allowed us to transfer Commander Shepard across three games over the last five years. That pales in comparison to Pokémon, which, barring the early games, allows you to transfer creatures for over a decade across many titles—a feature which blogger Cunzy1 1 has made ample use of. 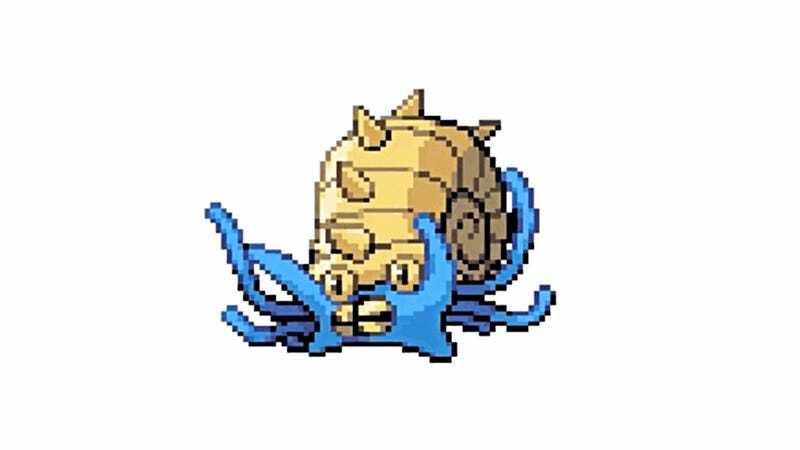 Dactylocer, which is Cunzy's name for his Omastar—a fossil type Pokemon—is a companion that he's been using since Pokémon Fire Red. That'd make the Omastar nearly a decade old. "Even though I know that it isn't 'my Omastar' being transferred from one game to another, it's merely the (genetic) code being replicated in the next game and permanently deleted from the old game I can genuinely say I have a sentimental attachment to this guy (and it is a male) who has now been my digital companion, more accurately, the digital companion of many of my trainers through each game, for just under a decade," he explained on his blog—where he chronicled the adventures the Omastar experienced across all the different games. He recognizes that while this Omastar isn't the best Pokemon—or even the best Omastar—it doesn't matter. It's his Omastar. Today, Kill Screen interviewed Cynzy1 1, who revealed that the reason he's picked Omastar for this is because he's a paleontologist, and Omastar is a fossil type that's a parody of ammonites. Makes sense. Mind, not everything is romantic about this. The Omastar he's transferred is actually the second Omastar. Remember, you can't transfer over Pokémon from the original titles—so there was an Omastar before this one. That, and, the Omastar has mothered a "couple hundred other Omastars. Sometimes with her own sons." Yeah. Many of us are guilty about the breeding thing with our own 'mon I'm sure, but it's still kind of ick to think about. I'm curious, though: have you transferred your Pokémon across all games? If so, which and why? Share your stories—surely, while this sort of thing is kind of rare, Cynzy1 1 can't be the only one that's done it! GIF above is from this must-watch, although unrelated, video. Edit: I misattributed which game he started out with; that's been fixed, as has the approximation of how long he's had the Omastar for.